If you’re often away from home, keeping watch over your property can be a struggle. With PIN-code access, live video and two-way audio, the Gate smart lock provides an instant security upgrade. What is a smart door lock? It’s a lock with extra features such as remote control via Wi-Fi or a built-in video camera. Do you need to hire a locksmith to install a smart lock? A few smart locks require specialist skills, but most are fairly easy to install. What is the best smart lock that you can install yourself? Gate offers a plethora of useful features, and you can install this security upgrade with ease on most doors. In this age of self-driving cars and smart home technology, it seems strange that we still rely on the humble key for security. Although regular locks offer a reasonable amount of resistance, they lag far behind the security standards we set online. Need to change the “password”? You will need to replace the whole lock. Want to let in friends when you’re still out shopping? Sorry, no can do. Gate brings home security into the 21st century. 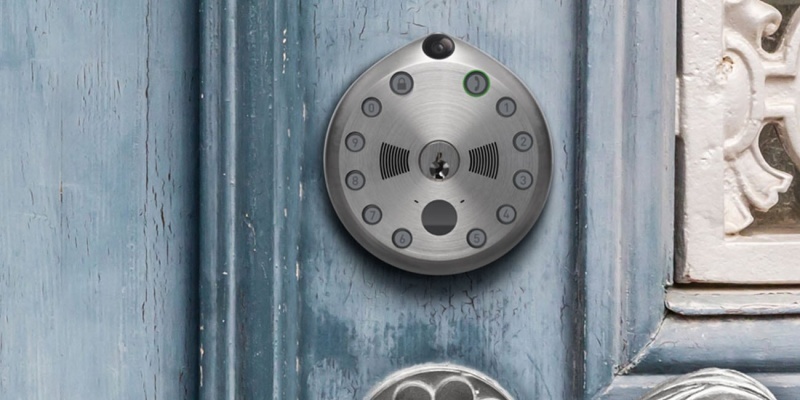 This impressive smart lock lets you set up multiple PIN codes for access. Meanwhile, the built-in video camera captures the face of every visitor. Which smart lock has the most features? It’s difficult to give a definitive answer to this question. However, it’s possible to say with certainty that Gate should be among the runners and riders. 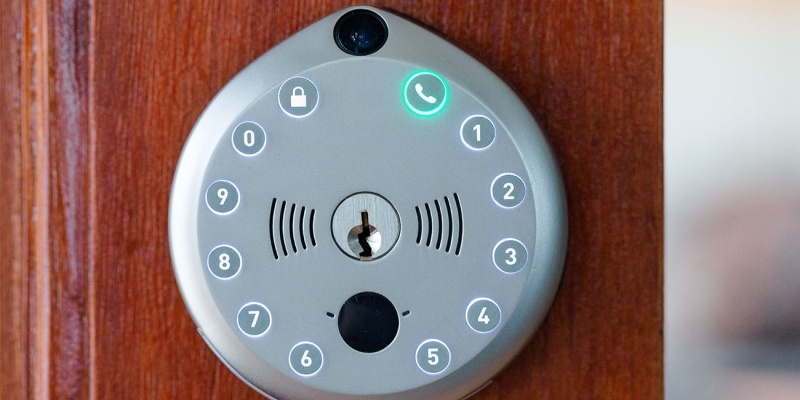 This smart lock is incredibly versatile, yet very easy to use. One reviewer even described Gate as the Swiss Army knife of home security. The feature list includes dynamic PIN-code security, motion-triggered video recording with cloud storage, and two-way audio. You can even take manual control and unlock Gate remotely. Unlike some smart locks, Gate is pretty easy to install. The smart lock replaces a regular standalone deadbolt, with spacers provided to ensure a snug fit. Gate can also be fitted to doors with handle-lock combinations, although you will need to install a separate handle. Once the physical side has been taken care of, you simply pair Gate with your smartphone via Wi-Fi. The companion smartphone app then lets you take full control of your front door security. For instance, you can set custom PIN codes for family and friends. If Gate is installed at your office, you can also set up scheduled access. When someone arrives at your front door, Gate lights up. 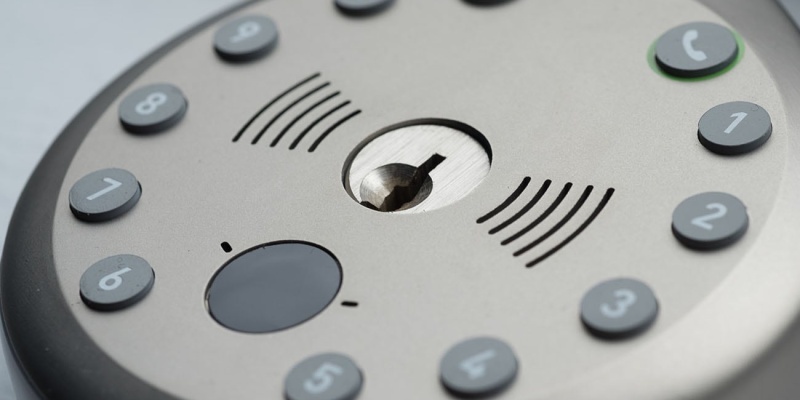 They can either use the number keys to enter a code, or press the built-in doorbell. 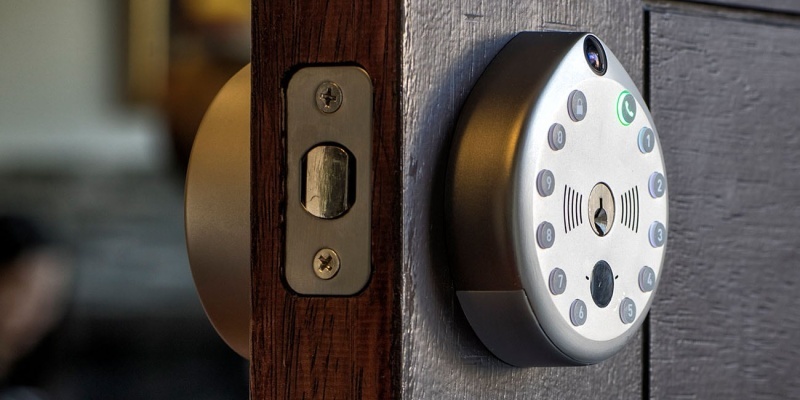 Either way, the smart lock will record their arrival and upload the footage to the cloud. The Gate app will also alert you when you receive a visitor. You can choose to see live video on your phone, and even hold a conversation with your guest. You can also unlock the door for trusted people. Gate provides a complete solution for gatekeeping. If you are regularly away from home, this smart lock is an essential security upgrade. The lock comes with two years of cloud service. However, you will need to pay a subscription after the two years to maintain some of the best features.